On Design Santa Barbara we cover one of our favorite topics, Art. Georgia Totto O’keeffe was a famous American artist. She was best known for her paintings of enlarged flowers, New York skyscrapers, and New Mexico landscapes. Then we welcome John Paul Brown who blends the broad brushwork and vibrant colors of Van Gogh with the strokes and pastel shades of Monet to produce enchanting, passionate masterpieces. Georgia Totto O’Keeffe (November 15, 1887 – March 6, 1986) was an American artist. 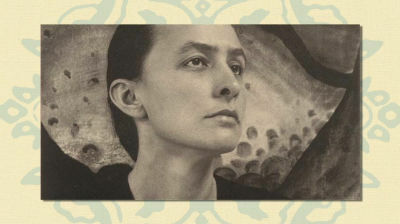 O’Keeffe has been recognized as the “Mother of American modernism”. In 1905, O’Keeffe began her serious formal art training at the School of the Art Institute of Chicago and then the Art Students League of New York, but she felt constrained by her lessons that focused on recreating or copying what was in nature. In 1908, unable to fund further education, she worked for two years as a commercial illustrator, and then spent seven years between 1911 and 1918 teaching in Virginia, Texas, and South Carolina. During that time, she studied art during the summers between 1912 and 1914 and was introduced to the principles and philosophies of Arthur Wesley Dow, who espoused created works of art based upon personal style, design, and interpretation of subjects, rather than trying to copy or represent them. Featured on this episode of Design Santa Barbara is talented artist James P. Brown. With his history as a painter, radio entrepreneur, wine connoisseur, marathon runner, and reciter of poetry, his life resembles a colorful palette, capturing the beauty of adventure of the human experience. His paintings are windows into an enchanted world blending energy, color, romance, as well as favorite cities and landscapes. Today, Brown’s artwork continues to reach new levels of inspiration and admiration. In 1970 Brown published the first edition of Earth Magazine. Later that same year introduced Earth News Radio and established the similarly formatted Rock News syndication. In 1980, Brown sold Earth News, divorced, remained involved in radio syndication for his bread and butter. Moved to a Santa Monica cottage to pursue the life of an artist. After two solid years of 10 hour days of painting, members of the burgeoning Venice Art Community and gallery owners began taking notice of his work. Collectors such as Kris Kristofferson, Cheech Marin, Mayor Koch, Tina Louise, Lee Iacocca, Ray Kroc and leading dealer Paul Cantor began purchasing his paintings.